Hardlogik are 2 producers from Sevilla (Spain) also known as Noname & NIghtm4r3, with a lifetime dedicated to music and several years of experience in music production, they decided to join forces to translate their ideas into a joint project. With influences ranging from metal to breakbeat, their music consists of an mixture of styles with strong beats, devastating basslines and murderers synths, resulting in a shattering sound ready to rock the dancefloor and ears of the public. 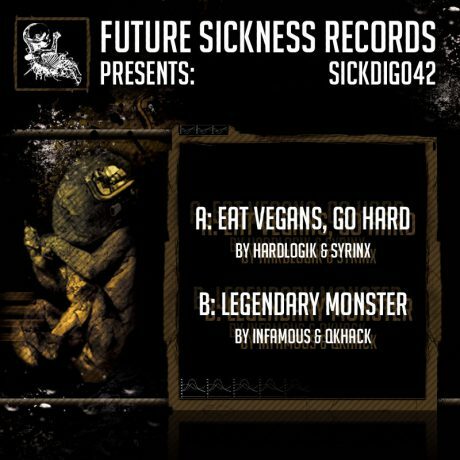 Recently signed to renowned international labels such as Future Sickness,Nekrolog1k, Union Records, Abused Recordingz, Melting Pot, Tech Cycle etc. These Sevillians are gradually making a name in the electronic scene, and recognized DJ's as Counterstrike, Cooh, Switch Technique, Homeboy, IgneonSystemetc.